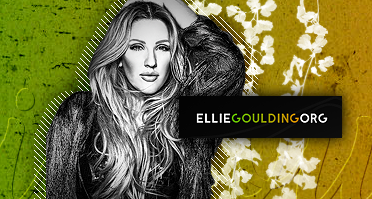 Ellie Goulding has had a one busy year. She released her third album, Delirium, to critical acclaim, received her first Grammy nomination (Best Pop Solo Performance for “Love Me Like You Do”), and embarked on a mostly sold-out world tour. So it’s not surprising that, hours before taking the stage at Coachella, she feels more tired than nervous. “I’m so exhausted,” she told InStyle in her trailer ahead of her set. In fact, the British singer known for her breathy vocals recently tweeted that she’ll be taking a much-needed, long overdue break from the music biz imminently. But first, she’ll crush her performance, because that’s just the kind of woman she is. Below, we talked with Goulding about the perils of touring and why girl squads are essential. How do you typically unwind after a performance? What are you planning on eating after the show tonight? How long have you been a vegan? Why the change? What do you hope to accomplish during your time off? What’s the hardest part about touring? Other than lifting luggage, how do you get in shape? What’s your approach to festival style? You’re a proud member of Taylor Swift’s squad, and girl gangs in general are getting more attention for being unapologetically feminist. What makes these friendships so important? Speaking of, you recently partnered with Pantene for their “Strong Is Beautiful” campaign. When do you feel the strongest? 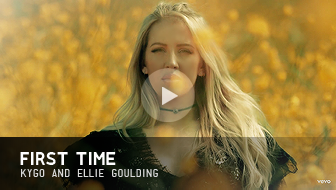 Ellie Goulding Wants Girls to Know “Everything Is Going to Be Okay”! ​Seventeen’s latest cover star knows how hard growing up can be.​ Check out what Ellie had to say about how tough she knows being a teenager is now, and then find out tons more — about her struggles with body confidence and anxiety, her friendship with Taylor Swift, and her upcoming Delirium tour — in the April issue of Seventeen, on newsstands March 15! Ever have one of those days where the mean girl in your head just wouldn’t shut up? Our April cover star Ellie Goulding has been there before, which is why it’s so important to her that her music has a positive message. 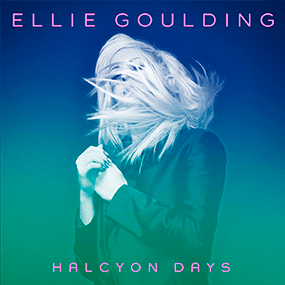 So, if you ever listen to Ellie songs and feel like she just gets you, know that she totally does. Also, check out everything Ellie had to say when she opened up about Niall Horan and Ed Sheeran! First, she addressed her relationship with Niall. More recently, she’s been dating McFly bassist Dougie Poynter on and off.